International Association of Microsoft Channel Partners India West Chapter conducted its Annual Elections to elect its new Team. Mumbai based Suresh Ramani, CEO and Cloud Computing Evangelist, Techgyan will take charge as President of IAMCP. 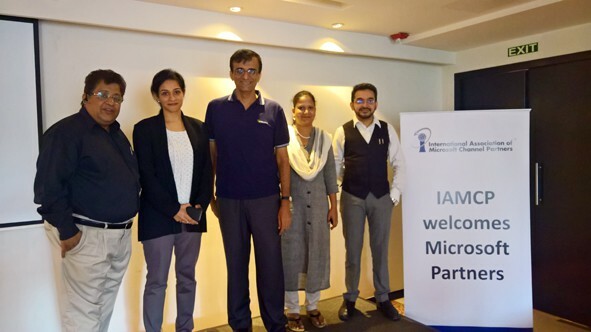 The IAMCP India West chapter with over 50 Microsoft companies as members is a vibrant business network with partners from Mumbai, Pune and Ahmedabad. Managed by a energetic board of directors, the India West chapter conducts regular members meetings, presents opportunities to the members to network, offers exclusive trainings and in depth technology updates on Microsoft Technologies and also endeavors to help partners grow their business and connect better with Local Microsoft Team. Internationally , it is present in more than 40 Countries . IAMCP India West elects its new Team 0 out of 5 based on 0 ratings. 0 user reviews.